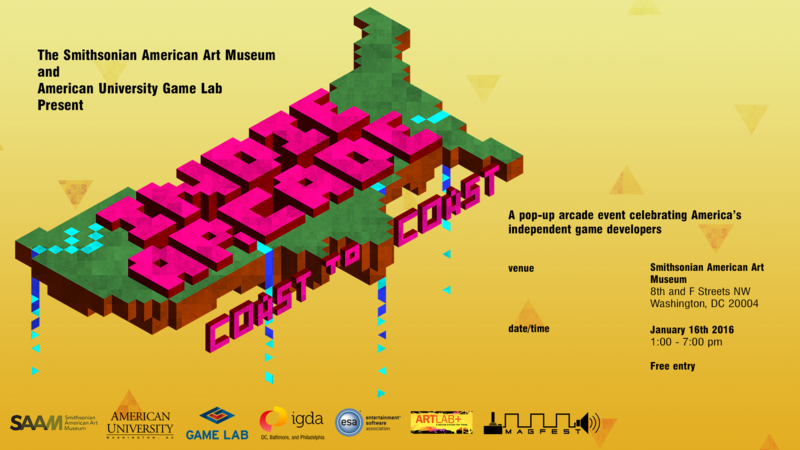 The SAAM Arcade (formerly Indie Arcade: Coast to Coast) is an annual event hosted by the Smithsonian American Art Museum and its partners. The event highlights the groundbreaking work of video game developers, provides educational tools and fosters creativity for the future of video games. 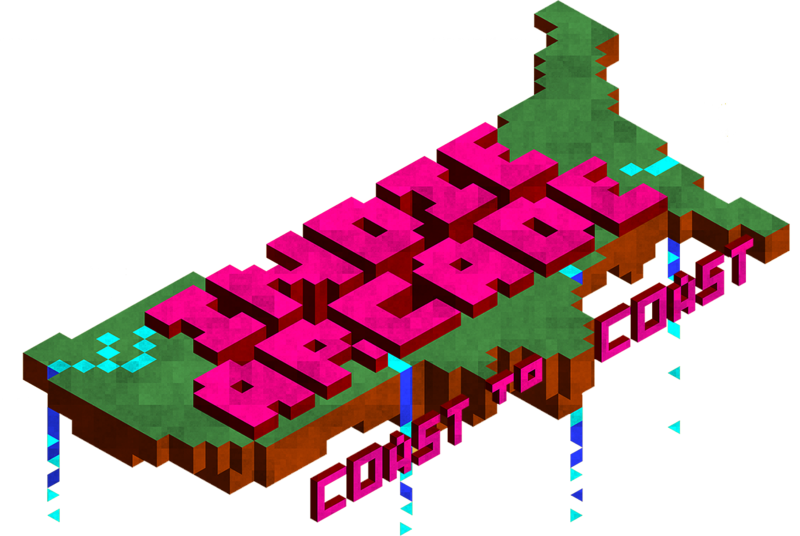 A central component of the event is the “Indie Showcase” that features a variety of independent games created by both professional and student developers. It was originally organized by Chris Totten, Lindsay Grace and Kaylan Lapan. Please visit the 2017, 2016 and 2014 sections for past events. Or visit the Smithsonian American Art Museum's website for events after 2017. The event is organized in partnership with the Smithsonian American Art Museum with support from American University Game Lab and Magfest. From 2014-2017 the independent games portion was organized by Chris Totten, Lindsay Grace and Kaylin Lapan. Selections are made by a senior panel of independent game makers and the voting power of our volunteer judges. These committees vary each year. Selections are made by a senior panel of independent game makers and the voting power of our volunteer judges.